Have you been ready to get into the gym for a while now, but don’t know exactly where to begin? Is there a right and wrong way to kick off the new you? Want to learn more? We have a special free ebook offer for you – 7 Ways to Speed Up Your Metabolism. I’ve got the answers you need to get started today. Take a look at my checklist below and follow it to become the brand new you! I know you may think that one of the main reasons for getting in shape is so you don’t have to go see the doctor as much, but hear me out. Having a physical done before you start on a fitness regimen is necessary. You don’t want to risk doing too much too quick in a workout routine just to find out you have a serious medical condition. Get evaluated first so that you can write that possibility off. Grab the right workout gear. I’ve seen it ALL over the years. Men working out in flip flops and cargo shorts, women wearing sports bras and high heels… you name it. Just because someone else has made poor decisions with deciding what to wear to the gym, doesn’t mean you have to follow their lead. Make sure to grab comfortable clothes that fit you – not too tight and not too loose. Your shoes are very important as well! You’ll need shoes with great support and that have a closed toe. Trust me, the last thing you want is to be minding your own business and out of nowhere the person next to you loses control of their dumbbell and it lands on your toe. Ouch! Learn how to properly fuel yourself. If you are one of my clients reading this, you already know what I’m going to start with. That’s right… EAT BREAKFAST! Many people workout in the morning to start their day off on a positive note. However, I can’t tell you how many of my training sessions have ended abruptly because the person became nauseated or dizzy. The majority of the time it’s because they didn’t eat before working out. I’m not asking you to go to the Denny’s buffet, guys. I simply want for you to have energy that your body can continue to use during your workouts. Keep it light and keep it simple. 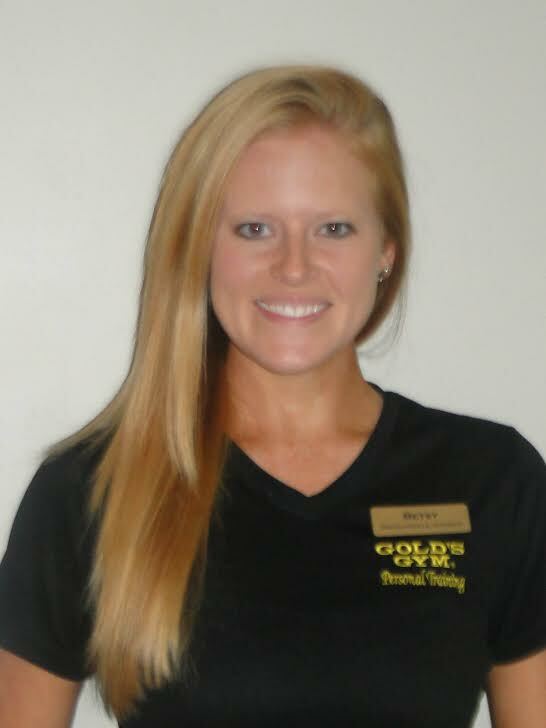 At Gold’s Gym, we are proud to have some of the best and most knowledgeable staff in town. If you have questions, we have answers! I can’t explain to you how badly I wish people knew they could ask us for help on a piece of equipment. Instead, they watch the person before them and go from there. This can work… sometimes. But you never really know if that person is doing the exercise right themselves. Maybe you still need some 1 on 1 guidance. You may not feel 100% comfortable with the gym yet and everything it has to offer. That’s where my job comes in! Personal Trainers are here to help you with the meticulous part of working out. We want to tailor a program that will work just for you. You can workout without the guessing games! Are you ready? I sure think so! You’ve now got the tools you need to take the next step in the right direction – a new fitness program to achieve lasting results. What are you waiting for? I’ll see you at Gold’s Gym!